Unblock websites and stream live sports with Le VPN. If you are a sports lover, you will enjoy live streaming of these programs on your phone. Today, a large number of people watch sports programs through live streaming. Moreover, sophisticated Android devices enable live streaming of various sports events on the handsets. Some websites stream live sports across the world. However, you may not be able to get access to these websites as they are either blocked or restricted. In such a situation, VPN service from a reliable service provider is the best solution. Opt for Le VPN when you want to enjoy live streaming of any sports. The Coral Welsh Grand National is among the most significant jump fixtures in the UK. If you are a big racing fan, but you cannot be present at the venue on 27 December, don’t worry, with Le VPN you can watch the live stream of the Coral Welsh Grand National from anywhere. For instance, recently Wild West Wind won the Coral Welsh Grand National 2017 trial at Chepstow. A large number of sports lovers watched the live streaming of the program on their Android devices. It is not always possible to stay at home to watch these programs on your television set. Moreover, when you have easily accessible websites that stream live sports, you can always enjoy the sports events. You need to subscribe to a reliable VPN provider, Le VPN, to enjoy live streaming of sports from anywhere in the world. The leading VPN provider allows the users to choose an IP address from a list of over 100 countries. You can get a free VPN for Android, or a paid VPN and enjoy private and secure browsing while you view these sports events. With the secure browsing, you will remain protected from threats of malware and viruses in these websites. A key advantage of using Le VPN for live streaming is that you can get access to blocked websites. Certain websites are accessible only in particular demographic zones. If you reside outside these circles, you cannot access such websites that stream live sports. Using a proxy browser, you can easily bypass these restrictions and enjoy the events on your Android phone. You can even get a VPN router and connect multiple devices to Wifi. The proxy browser does not allow the authorities to trace your IP address when you access restricted sites. When you switch to websites that stream live sports, you expect the video-quality to be optimum. Choosing Le VPN ensures good quality visuals. You can enjoy encrypted VPN connections from Le VPN to keep your Android device protected, even when you access public Wifi. You can bypass the censorships imposed on the internet and enjoy content that is reserved for other countries. 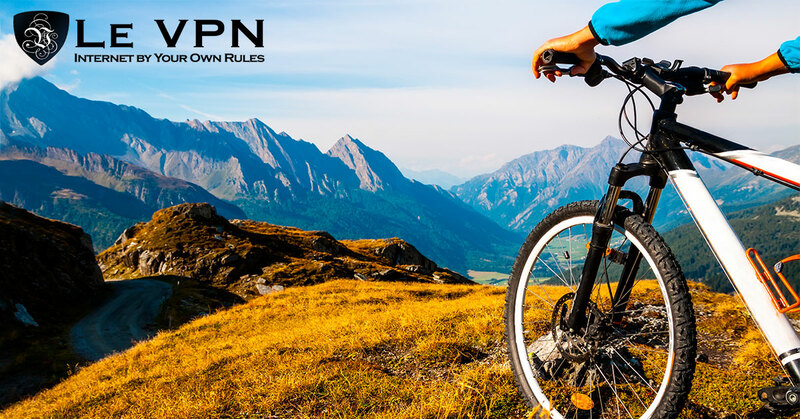 In order to get access to the websites that stream live sports events, simply get a VPN from Le VPN. It will keep you protected when you enjoy live streaming of these programs. Le VPN is offering great discounts to its customers. You can subscribe two years of Le VPN service for $69.60. So hurry!